Ste. 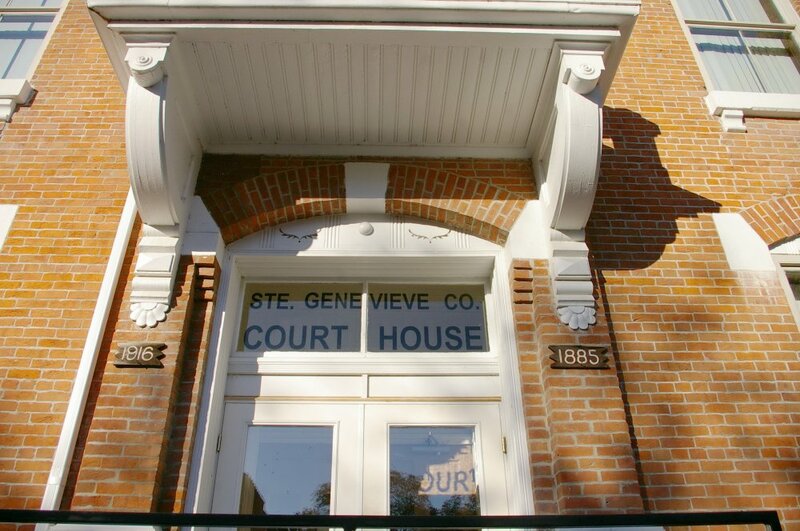 Genevieve County is named for Sainte Genevieve, who is the patron saint of Paris, France. 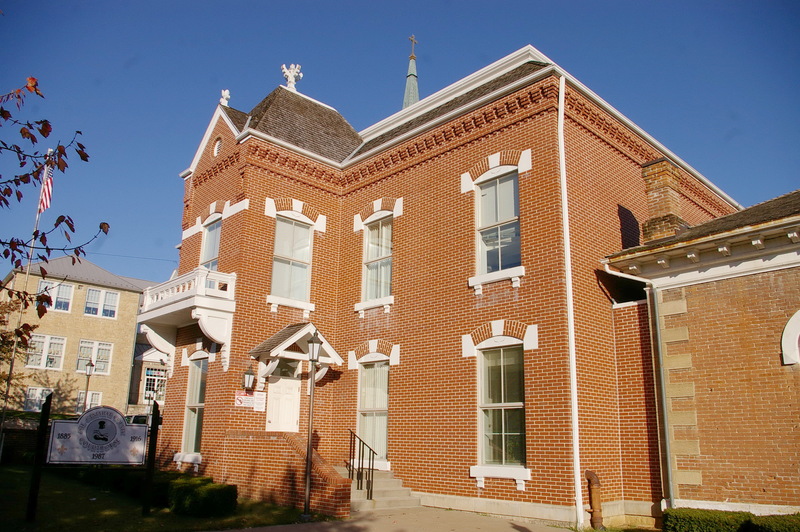 Built in 1885, the building is a two story red colored brick and Ste. Genevieve sandstone structure. 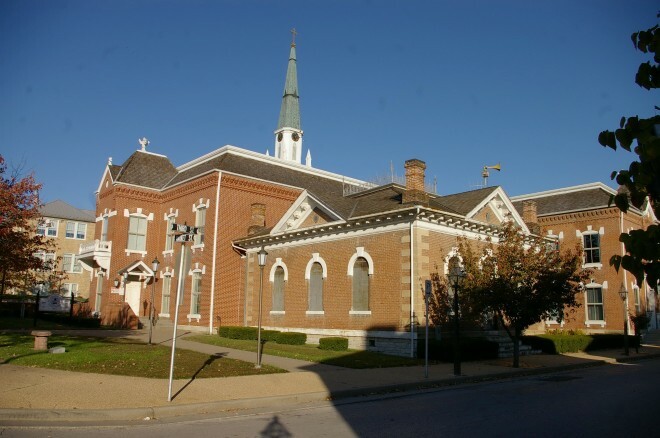 The building faces east and was completed in 1886. There is stone trim at the windows. The roof rises on a slope to a flat roof line. There are gables at the roof peaks. In 1915, a western and southern extension were constructed. The architect was Robert G Kirsch and the contractor was McCarthy Construction Company. 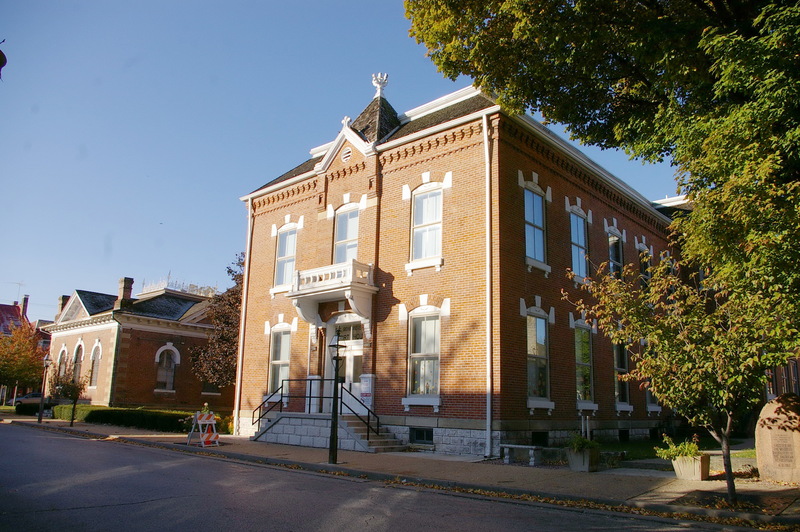 On the north side is the clerk’s office which was designed in 1875 by John S Whitlock and built by Joseph B Jennings. On the south side is the old jail also built in 1875. 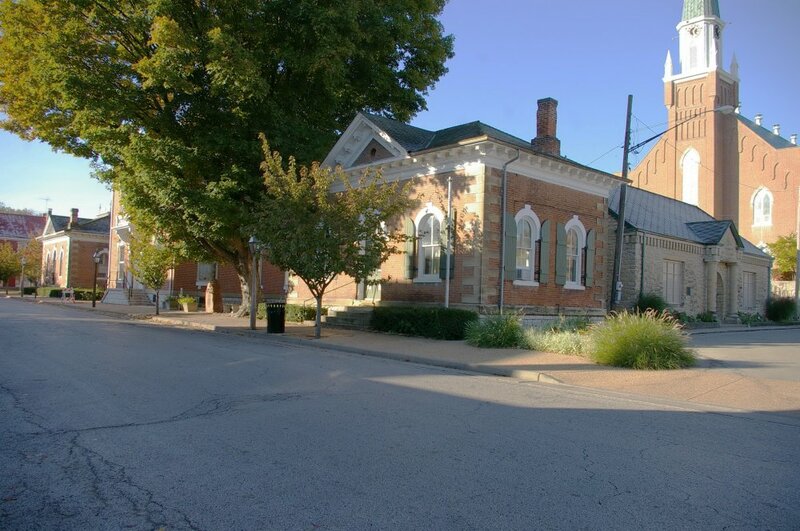 Note: The first courthouse was built by Loper and McCullough in 1823 for a cost of $1,000. Interior renovations were made in 1853 and 1855. 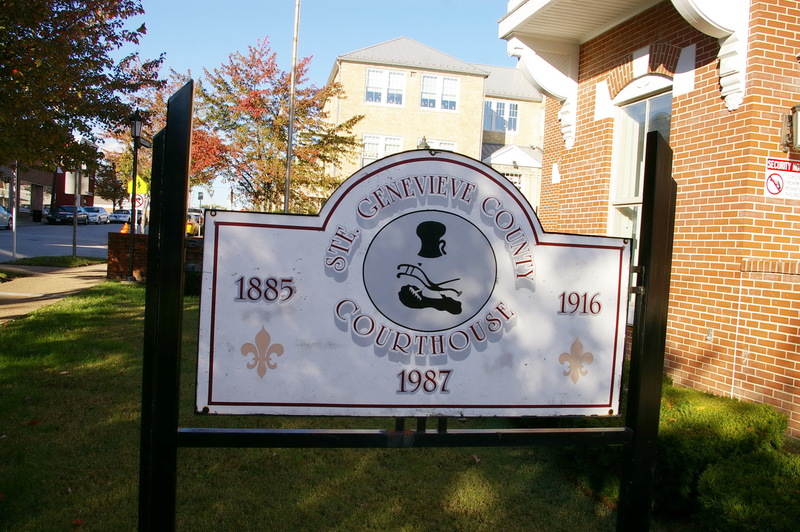 The cost of construction of the clerk’s office was $2,500. 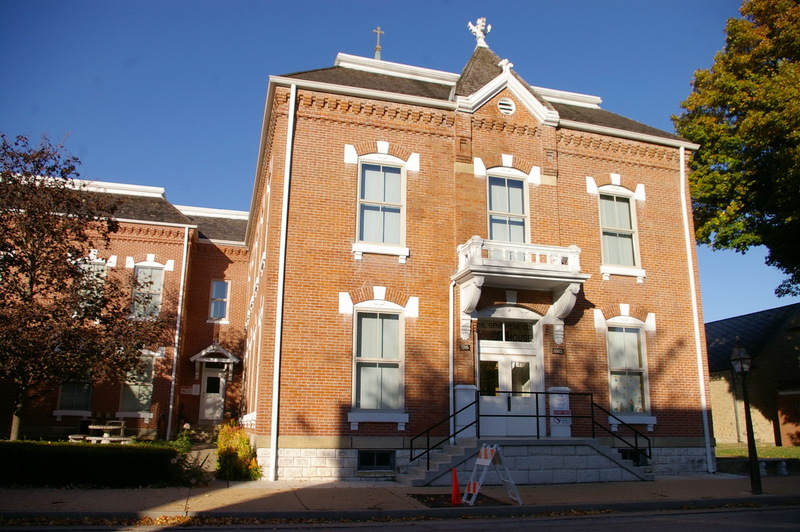 The cost of construction of the present courthouse was $8,000.